Looking for hosting for your websites and torn between SiteGround Vs InMotion? This comparison of the two hosts will help you decide if you’re better of with SiteGround or InMotion. Web hosting is very crucial in the online business. When choosing a hosting company, you need a company that is ranked highly and one that can generate good traffic, one that has a good uptime, superb performance among other features. A poor performing web hosting company will impact your website directly. It will negatively impact your website’s ranking, revenue and expose your site to security threats. It is for this reason that you need a top of the line web hosting company that will not only ensure that you are protected against attacks but also has a good backup system. The choice of the hosting company makes a big difference to the success or failure of your website. Besides that, the reliability of the host and the assurance that your hosting company will not mess up any of your data is critical. Most importantly, a full knowledge that your website will not experience any downtime is very essential. In today’s post, we are going to have a comparison between SiteGround and InMotion web hosting companies. In the bitter and unending battle of web hosting, the competition between these two rivals boils down to what they have to offer. If you have narrowed down your hosting options to SiteGround VS InMotion, you are on the right track. However, who will we recommend? Read on to find out. InMotion is a web hosting company that was started 14 years ago (2001 to be specific). Over the years, it has been top-ranked and it has been among the leading web hosting companies. InMotion has over the years improved their infrastructure to ensure that they give maximum speed zones for faster and efficient performance. They have allowed more than 300 software to be used for the creation of different websites such as Magento, Joomla and WordPress. SiteGround, on the other hand, started its operation in 2004 and they are very dedicated to their service delivery. They support sites such as Joomla, WordPress and Magento. They offer custom-made hosting plans that support these websites and this has enabled them to give the best services to their clients. When compared, SiteGround is younger than InMotion but it has a better client base than InMotion. Currently, SiteGround has a customer base of more than one million clients. SiteGround has an impressive breadth in overall web hosting services. It is a leader in technology innovation when it comes to the hosting space. Speak of premier customer support among other superior web hosting features such as free CloudFlare CDN, unlimited bandwidth, cPanel interface, an unlimited database to mention just but a few. The major pull factor for SiteGround hosting is customer care service. InMotion on the other hand, offers a wide range of web hosting services including but not limited to the following hardware, mass scalability, shared and dedicated hosting, zero downtime for web transfer which makes switching between two sites easy. Both SiteGround and InMotion have a 99.99% uptime guarantee. On one hand, InMotion offers an extra Max Speed Zone option to their clients under the Business Class plan and higher. On the other hand, SiteGround is more reliable because it does not experience any downtime because they have an alert system which monitors and finds out any potential threats and fixes them automatically. When it comes to uptime, both SiteGround and InMotion have absolutely reliable uptimes. They are both reliable hosts, no much debate about that. One of the critical things in the performance of your website is speed. A website is supposed to load with a lightning speed. A website that takes more than 3 seconds to load is likely to lose clients. A good website must feel fast and snappy so as to attract customers and your business will grow. On the other hand, if your website is slow, it will turn off your customers and you will lose business. As indicated above, SiteGround has specialized in their major software scripts and these are Joomla, WordPress and Magento. This specialization has enabled them to have a superior performance. In fact, SiteGround has developed a special cache program which they call SuperCacher. They also use the SSD, PHP7, CDN, NGINX and HTTP/2. When all these features are combined, they help to maximize the performance of their website. This gives them an upper hand over most of their competitors. InMotion on the other hand, they also have a good hosting speed. They also use their signature technology – Max Speed Zone. This allows them to give their customers better connectivity throughout their data centers that are found in different places. However, their relying on this single technology impacts their speed negatively. When it comes to hosting speed, SiteGround has an upper hand over InMotion. InMotion have their servers located in the US alone, in the East and West coast. SiteGround on the other hand, have their servers in three different continents. Their servers are found in Singapore, Chicago and Amsterdam. The geographical location of a server has a direct impact on the response time. The closer the server is to the client, the better the response time. Since SiteGround has their servers in three different locations, their servers are closer to their customers as compared to InMotion which has their servers in the US alone. In real-time, SiteGround has better server response time because it comes from all parts of the world. Plus, SiteGround’s servers are better overall and that provides better server response time. (i) Shared hosting plan costs $5.99 / month. 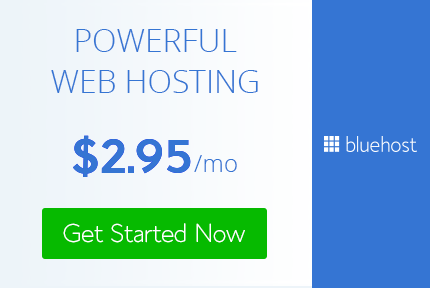 (ii) VPS hosting plan costs $22.99 / month. (iii) Dedicated hosting plan costs $119.99 / month. (iii) Dedicated hosting which costs $217.50 per month. With SiteGround, their prices start as low as $3.95 a month for the first year. This is like a 50% discount on the normal package price of $7.95 per month. SiteGround may not be the cheapest but you can rest assured that you will get proper performance more especially on their GrowBig and GoGeek plans. Most importantly, as your website traffic continues to grow, you can always upgrade your hosting plan so as to meet your website’s needs. Of course, the transfer from one package to another is free of charge. One of the crucial components in any business is customer care. This is one of the features that are rated highly in any hosting company. InMotion has a premier customer support. They offer their customer support through phone calls, live chats and email ticketing. Besides that, they also have wonderful online tutorial videos and FAQ section through which every member of their community gets help. SiteGround has been very consistent in their customer support. They also offer their support via live chats, telephone calls and emails. The response time for SiteGround’s live chat is 10 seconds. This is the fastest response time in any hosting company ever. Their emailing response time is approx 10 minutes. SiteGround has the best customer support in the entire web hosting industry. Both SiteGround and InMotion uses the cPanel. This is an excellent choice when it comes to the interface. cPanels are very convenient, powerful and widely distributed. In other words, they are very user-friendly. SiteGround has enhanced their cPanel by adding some extra features so as to increase their functionality. All these extra features have been integrated into the dashboard hence making it more user-friendly. Similarly, InMotion has customized their cPanel in order to enhance the user experience. The customized cPanel is available free to all of the InMotion users. Depending on your taste, both interfaces are a win-win. Therefore, both SiteGround and InMotion have very user-friendly interfaces. Both SiteGround and InMotion offer free unmetered site transfer and backups. Disk space is a major factor in web hosting. Disk space determines the amount of data that you can store on your website at a given time. SiteGround’s StartUp plan, for instance, comes with a disk space of 10GB. This is the most price tier with this host. As you go higher in their plans, the disk space increases. For example, GrowBig has a disk space of 20GB and GoGeek comes with 30 GB. The InMotion, on the other hand, comes with unlimited disk space. This means you can store as much data as you want on your website. Their space is available in the SDD on all their plans. SDD storage is more reliable and speedier as compared to the traditional hard drive storage. SDD storage will ensure that your website will work much faster hence your visitors will enjoy browsing on your site. In the world of web hosting, security is very critical. SiteGround has better security features as compared to its InMotion counterpart. Some of the security features that you will enjoy from SiteGround include the following: proactive server monitoring, free Let’s Encrypt SSL, and anti Bot AI. These features ensure that your data is secure and there are minimum security threats. One of the things that stand out about SiteGround’s security system is that they use their technology to ensure that unmitigated threats can be stopped by custom rules on their firewall. Whenever they realize that a risk is actively exploited, they make new rules so as to mitigate the risk. When you are selecting a hosting company, it is essential to know what they are offering. This is the most used hosting service and suitable for new website owners and bloggers. Both SiteGround and InMotion provides shared hosting plans with state of the art features. Shared hosting plans are also competitively priced and provide value for money. Are you looking for a WordPress compatible and hassle-free hosting service? Then SiteGround is the market leader in this. With SiteGround, you will get the following services for WordPress hosting: 99.9% uptime, 24/7 customer support, free WordPress transfer, 1-click install, pre-installed Git, free CDN, free WordPress setup wizard, staging and automatic update among others. InMotion hosting, on the other hand, is renown for its shared hosting. For WordPress hosting, you will enjoy the following services: unlimited host WordPress sites, free SSL certificate, premium themes, optional auto-plugin and pre-installed WordPress with NGINX server caching. SiteGround has its own typical private server network. They have the private cloud platform that they have created for hosting. The following are some of the features that you will enjoy under this plan: dedicated IP address and Iptables firewall, free CloudFlare CDN, free daily backups, 1-click install for CMS, fully managed cloud hosting with super fast performance and scalability. InMotion is the market leader in VPS hosting with a slick management software and free backup and SSD. You will also get a 50% discount for the first month of signing up, real-time redundancy, free server management, free SSD and SSL certificate. SiteGround has a limitless server that is accessible throughout the world. The following are some of the features that you will enjoy under SiteGround’s dedicated hosting: CloudFlare CDN and Iptables firewall, 24/7 proactive uptime monitoring, private DNS server setup, 5 free IPs and Softaculous automatic installer among others. InMotion, on the other hand, comes with an incredibly fast and reliable dedicated hosting hardware in the market today. Some of the outstanding features under this plan include 1 tier network with redundancy, rebootless kernel updates, free SSDs, 1-click install, free SSL and cPanel and WHM licenses. Over the years, SiteGround has been ranked highly as a top-notch web host and consistently so. Free site transfer. If you want to transfer your website from a different hosting company to SiteGround, you can do so free of charge. There are no hidden costs for you to incur. Managed WordPress and Joomla services. SiteGround takes advantage of technology to create advanced services for their users. They have created their custom-made technology for creating websites. For instance, they use SuperCacher to create WordPress and Joomla admin toolkits, staging of sites and GIT repositories which they can use to manage the sites. It has servers in three different continents. Their servers are located in three continents i.e Singapore (Asia), Amsterdam (Europe) and Chicago (America). The good thing about the servers being in different locations is that it brings the server closer to the client. The closer the server to the user, the better the performance, speed and uptime. It has automatic WordPress plugin updates. One of the easiest and most common way a website can be hacked in through a vulnerable point. SiteGround is aware of this and therefore, they have come up with an automatic WordPress which updates itself as soon as a core update is available. It has an in-house SuperCacher service. They use this technology for custom caching modules for WordPress and Joomla hosting. 30-day money back guarantee. If within 30 days of your signing up with SiteGround you are not satisfied with their services, you have the freedom to cancel the contract and get a full refund of your money. For better performance, SiteGround utilizes different technologies such as SuperCacher, SSD, PHP7, CDN, NGINX and HTTP/2. SiteGround uses these technologies to the merit of their users. With the help of these technologies, they are able to roll out many amazing features which most companies only dream of. It is for this reason that their servers perform for efficiently. SiteGround has the following free extra for all their customers: free Let’s Encrypt SSL, free CloudFlare CDN and free backup and data restoration services except for StartUp plan. InMotion is a very strong contender in the web hosting industry. It has very competitive features and performance. 90-day money back guarantee. If you sign up with InMotion and within 90 days of your signing you are not satisfied with their services, you can cancel the contract and you will get a refund of your money. It comes with more than 400 different applications that you can use to create a website. The applications include Drupal, WordPress hosting, Magento, Joomla to mention just but a few. The good news is that all these applications do not overwhelm the performance of their servers. For faster performance, InMotion utilizes Max Speed Zones technology. They employ this technology to the advantage of their clients. It gives them a hosting speed which not many hosting companies are able to match. Besides that, the Max Speed Zone allows the user to select the data center which is nearest to them. However, this option is available only to their VPS and Business hosting plans. They have two main data centers. One is located on the West coast and the other on the East coast. Free Let’s Encrypt. The Let’s Encrypt function is available for InMotion users. The certificate is capable of automatically renewing itself when it is about to expire. Free domain. Are you starting up a new website? Then InMotion hosting is ideal for you. Getting a free domain is a great way to start off your online business. $250 worth free advertising. InMotion offers free $250 advertising credit for use by their clients. However, this is available for Business Class hosting plan and above. Fast servers. InMotion have very fast servers. The faster the server, the faster the page loading time. Their servers have a good amount of RAM (60 GB). They do not experience any CPU lockdown. This means that they are not constrained by lack of CPU low power. Affordable VPS hosting plan. This plan starts at $29.99 /month. This is more affordable when compared with other companies on the same plan. InMotion hosting has the following free extras: free SSL certificate, SSD (Solid State Drives), premium web builder, free website transfer, $75 – $100 Google Adwords credit, free data restoration once every four months and safe application Rollback. Truth be told, both SiteGround and InMotion Hosting have good things. Both companies have a big client base. Additionally, their customer support is second to none. Both companies have excellent features, fast and reliable servers and money back guarantee of 30 days and 90 days respectively. However, if we had to recommend one of the two hosting companies, it would be SiteGround. This is because they have better features, good hosting speed, uptime, top notch customer support which make them a wonderful team to work with to take your online business to the next level. As indicated above, it has 99.9% uptime. SiteGround is an ideal web hosting for business hosting. InMotion, on the other hand, is ideal for small digital agencies and freelancers. Therefore, when going for the SiteGround Vs InMotion, we would choose SiteGround over InMotion. We even compared SiteGround with Bluehost and it won the hosting race very easily! However, if you would like to go for InMotion, we will not stop you, it is equally a good host. That’s it for our comparison of SiteGround and InMotion Hosting. Did you find your perfect hosting based on your needs?